Michael Langford's 4-year-old Untrapped was euthanized on June 25 after the onset of laminitis, reports bloodhorse.com. The son of Trappe Shot suffered a bout of colic and was sent to Rood & Riddle about 10 days ago, and the laminitis was an additional complication. Under the care of trainer Steve Asmussen, Untrapped compiled multiple graded stakes placings and earnings of $857,005. 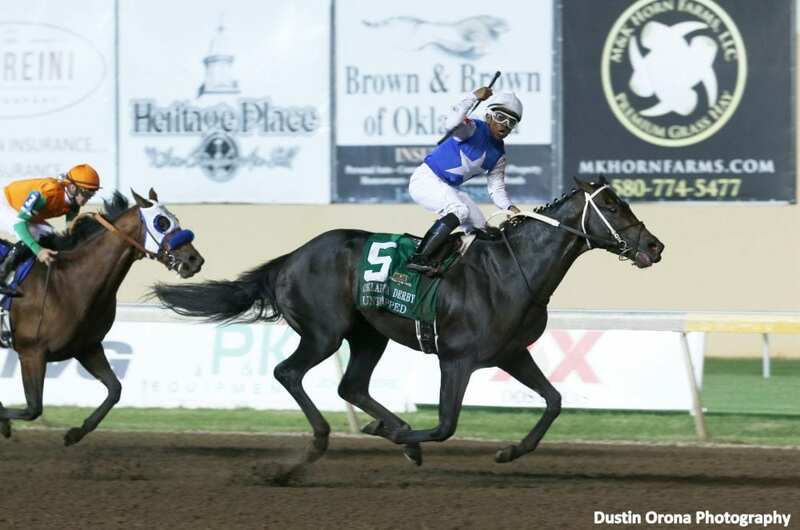 He finished 12th in the 2017 Kentucky Derby, but broke through last fall with a win in the Grade 3 Oklahoma Derby. Most recently, Untrapped finished second in the G3 Pimlico Special. This entry was posted in Bloodstock, NL List and tagged colic, euthanized, founder, kentucky derby, laminitis, Michael Langford, Oklahoma Derby, rood and riddle, steve asmussen, Trappe Shot, untrapped by Paulick Report Staff. Bookmark the permalink.